A climbing mentor describes Aubrey as a “confident and competent climber who exudes enthusiasm that can serve a catalyst for us all.” She encourages her teammates, acts as a role model for younger climbers, and enjoys being a part of the larger climbing community. 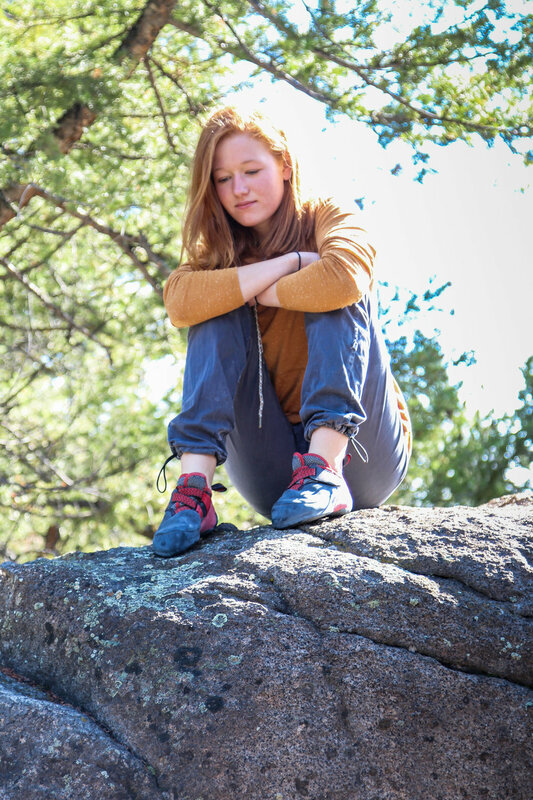 A high school senior, she pursues excellence in both academia and climbing. While she tries her hardest on the climbing team, she also seeks to create a relationship to the sport extending beyond competitions and grades. “I started climbing consistently in the fifth grade when two friends from school invited me to join the youth program with them at Spire. I had been to a few birthday parties at Spire before then, but I didn't really fall in love with the sport until joining the youth program. The selection committee looked for a young woman who best demonstrated some of the values and qualities we cherish about Inge: a commitment to learning as a student and climber, care for community and the environment, and a desire to create a well-rounded life. Aubrey was unanimously selected, for the thoughtful nature expressed in both her application and in her actions. We're thrilled for her accomplishments thus far and hope the best for her as she finishes her last year on the Bozeman Climbing Team.